Greetings, fellow cyclists! I hope that this June week is welcoming you with lots of sunshine and pedaling time. I know that here in San Diego, California, the cyclists have been out in droves with our forecast being consistently sunny and beautiful. 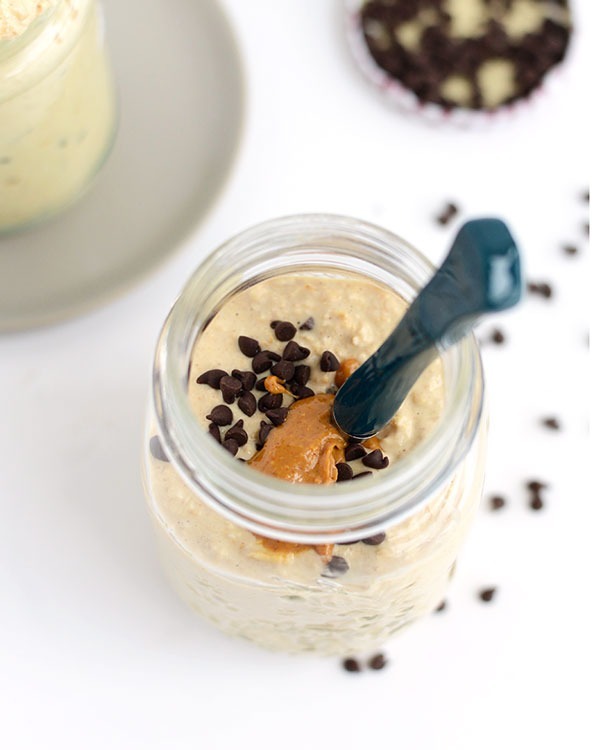 Due to the influx of cyclists that hit the pavement during the summertime, I received inspiration to share some of my favorite protein-packed recipes using peanut butter. Why is peanut butter so important for cyclists? Well, first of all, it’s packed with nutrition. According to prevention.com, a serving of peanut butter has 3 mg of Vitamin E (which is a powerful antioxidant), 49 mg of magnesium, 208 mg of potassium, and .17 mg of vitamin B6. Additionally, research shows that eating peanuts can decrease your risk of heart disease, diabetes, and other chronic health conditions. The Journal of the American Medical Association published a study finding that consign 1 ounce of nuts or peanut butter at least 5 days a week can lower the risk of developing diabetes by almost 30%. 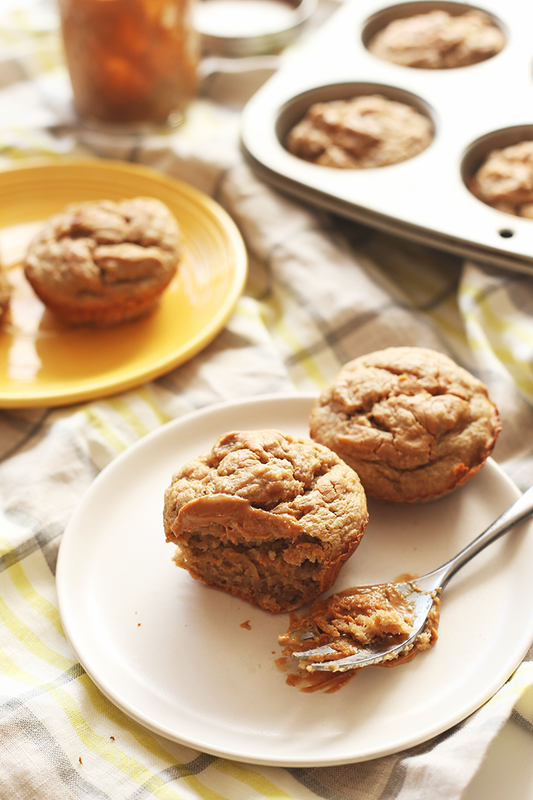 Today, I will be sharing 4 protein-packed recipes with peanut butter. 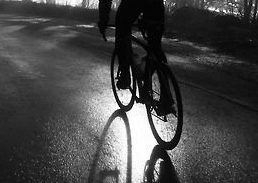 My hope is that you can take these recipes and use them to recover from your rides this summer! 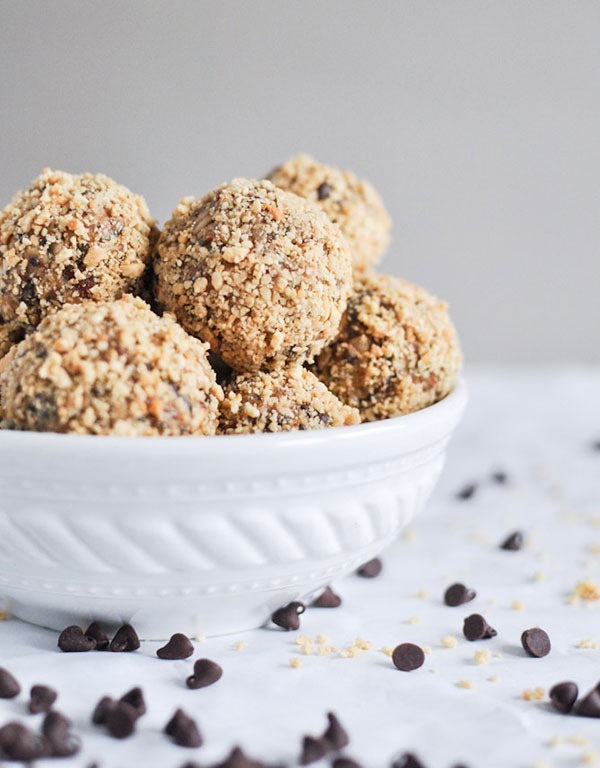 Place all ingredients (minus the chocolate chips) in a medium size tupperware and mix. Then, place into fridge for 2 hours or overnight. In the morning, add a few more tablespoons of almond milk (if need be depending on how thick you like it!) along with the chocolate chips. 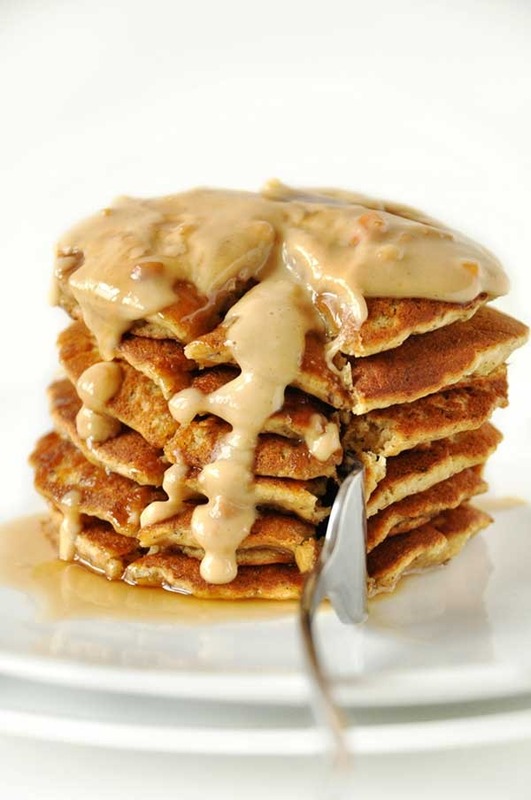 Eat with a drizzle of peanut butter on top. Preheat electric griddle to medium heat (or about 350 degrees F), or a large skillet on the stove stop. You want the surface to be hot but not screaming hot – oil shouldn’t smoke when it makes contact with the surface. To a large mixing bowl add flaxseed and water and let set for a minute or two. Then add melted Earth Balance, agave nectar, peanut butter, baking soda, baking powder, salt, vanilla extract and whisk to combine. Add almond milk and whisk again until well combined. Next add oat and whole wheat pastry flour and stir until just combined. Let batter rest for 5 minutes. Lightly grease your griddle and pour scant ¼ cup measurements of the batter onto the griddle. There should be 6 pancakes. Flip when bubbles appear in the middle and the edges turn slightly dry, being careful not to burn. Cook for 1-2 minutes more on the other side and then top with Earth Balance or more peanut butter and a light drizzle of maple syrup, or whatever else you please. Will reheat well the next day in the microwave. Line a muffin tray with liners or spray with coconut oil. In a large bowl combine oat flour, baking powder, baking soda and salt. Add in bananas, vanilla, egg, peanut butter and almond milk. Divide batter evenly amongst muffin cups for a total of 12 muffins. Bake for 20 minutes (give or take depending on oven heat and altitude). Muffins are ready when the tops spring back after being touched. Allow to cool for 20 mins before removing from muffin tin. Store in an airtight container at room temperature for up to 3 days or freeze for longer.